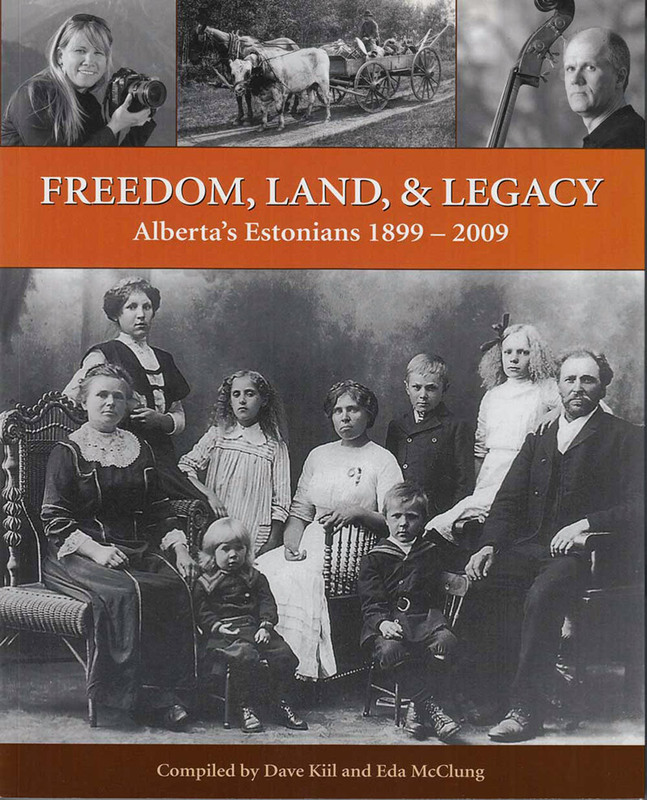 A 300-page illustrated book Freedom, Land, & Legacy: Alberta’s Estonians, 1899-2009 was published in 2010 by the Alberta Estonian Heritage Society. Compiled by Dave Kiil and Eda McClung, it describes the legacy of the early pioneers and presents stories of activities and achievements of post-World War II immigrants. It includes articles translated from Estonian into English for the first time. Through their courage, foresight and perseverance, the pioneers have made this land their home. Tamara Palmer Seiler writes in the introduction: “although they were a small group, the Estonians seemed to defy easy categorization”… “while facing the extreme challenges of carving out a place for themselves in a new land, they maintained their exceptional passion for literature, music and politics.” The book captures the fascinating story of Alberta’s Estonian community in words and pictures. This 300-page illustrated book describes the legacy of the early pioneers and presents stories of activities and achievements of post-World War II immigrants. It includes articles translated from Estonian into English for the first time. Through their courage, foresight and perseverance, the pioneers have made this land their home. Tamara Palmer Seiler writes in the introduction: “although they were a small group, the Estonians seemed to defy easy categorization”… “while facing the extreme challenges of carving out a place for themselves in a new land, they maintained their exceptional passion for literature, music and politics.” The book captures the fascinating story of Alberta’s Estonian community in words and pictures.